Find here the best traditional Italian lasagna recipes! 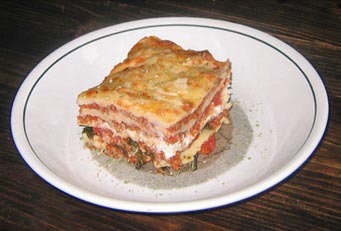 Delicious regional and traditional italian lasagna recipes for you to try! Here is a very varied list of a selection of authentic italian lasagna recipes directly from the lasagna's motherland: Italy. We sorted them in 3 main categories: the meat lasagna, the vegetarian lasagna and finally seafood lasagna recipes. Many of these recipes have a strong tradition attached to them thus are quite old; and everyone is significantly different enough from the others in order to appear on that list... We also point out on each recipe which italian region it came from. We hope you will enjoy trying these lasagnas, at least as much as we did! Please do not hesitate to come back from time to time as we keep adding more authentic recipes to our site.